If you are are looking for a reputable vision center in Beverly, MA, visit Parrelli Optical. Men and women who are currently dealing with frustrating eye problems can visit the facility for a consultation with a reputable optometrist. Patients who have been previously diagnosed with macular degeneration, for example, will receive the best possible care going forward. 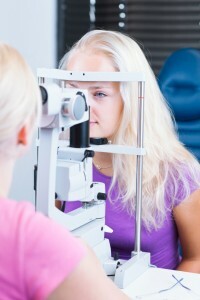 The resident optometrists are capable of administering eye exams and writing prescriptions. They can also look for signs of progressive eye disease. The professionals at Parrelli Optical will give all first-time patients comprehensive eye examinations. These exams will provide a wealth of information. Men and women who are having problems with blurred vision while they are reading, for example, may require bifocals or even trifocals. Likewise, the textures and colors within various parts of the eye may indicate that high blood pressure and high cholesterol are present. More serious health problems, of course, will require a trip to another specialist. This is why regular visits to the optometrist are so critical for optimum health. Whenever vision correction is needed, patients will surely want both carefully crafted lenses and stylish frames. In fact, men and women who have worn glasses for years might wish to try contact lenses for a change of pace. Professionals will be able to help individuals choose eyewear that will remain durable and viable for years. People who work in manufacturing might consider procuring prescription safety glasses to protect their eyes from harm while on the job. Most people who visit the practice are happy with the results. By committing to routine eye examinations a few times each year, patients can ensure that their vision remains in immaculate shape as they continue through life. Parrelli Optical, the most trusted vision center in Beverly, MA.